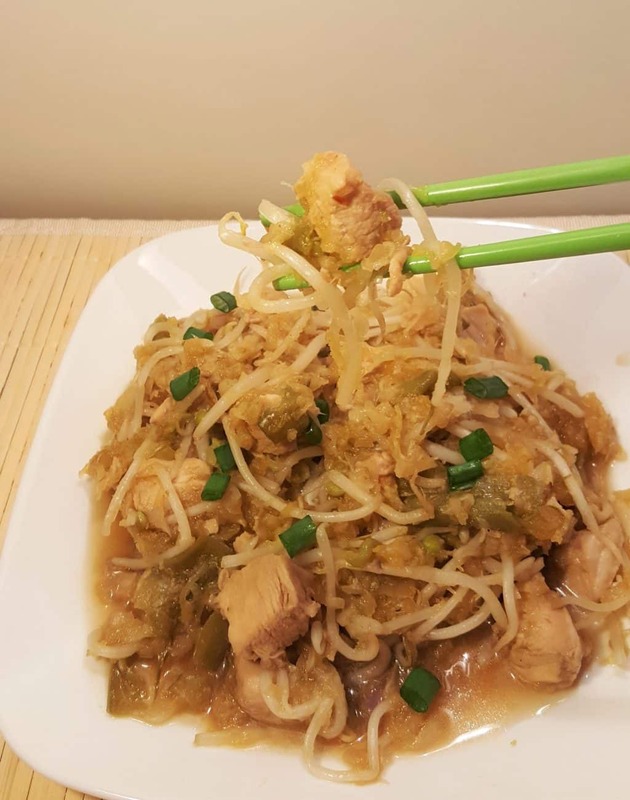 Spaghetti Squash Chicken Chow Mein, is a Lower Calorie Weight Watchers alternative to using Chow Mein Noodles. 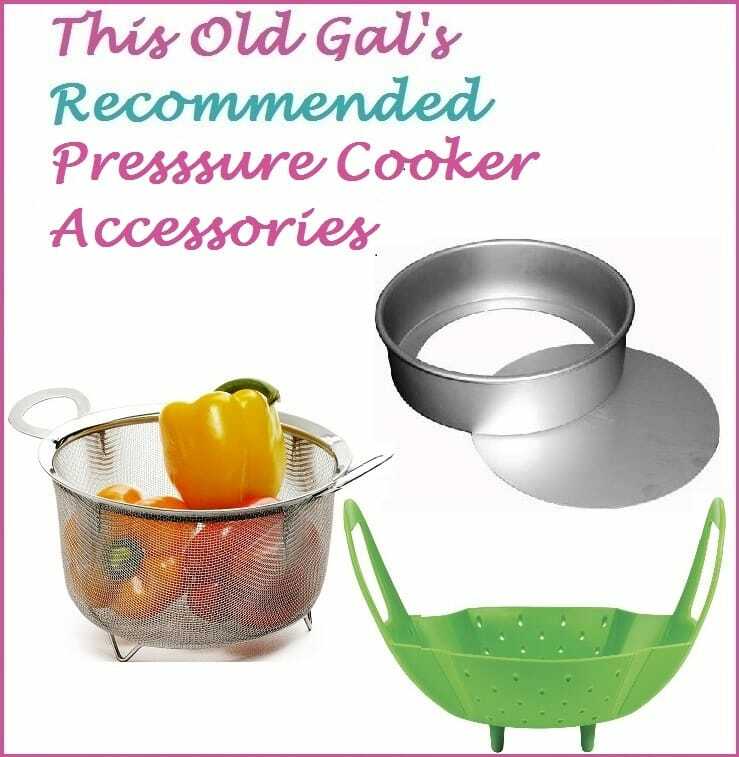 Quickly and easily made in an Instant Pot or Pressure Cooker. I’m always trying to lose weight and what better way, then with delicious food? Low calorie, but delicious recipes which do not taste like I’m on a diet is my kind of recipe. Spaghetti Squash is so wonderful to use in place of Spaghetti Noodles. My Pressure Cooker Spaghetti Squash and Meat Sauce is a recipe, which I have been making for over 20 years. It is so delicious and when I used to do make-up in Hollywood, the Craft Services people would make sure to have a nice batch for me and another make-up artist. A few years ago, I converted it to my Instant Pot and Pressure Cooker. Head over to my Pressure Cooker Spaghetti Squash recipe and prepare the Squash before starting this recipe. Chow Mein is stir-fried noodles. Depending on where you are in the Word, Chow Mein may mean something different. Chow Mein is popular in many Countries. The similarities are that the dish contains meat, vegetables and generally, a brown sauce. It is totally a customizable dish and can be prepared different each time, if new flavors are desired. 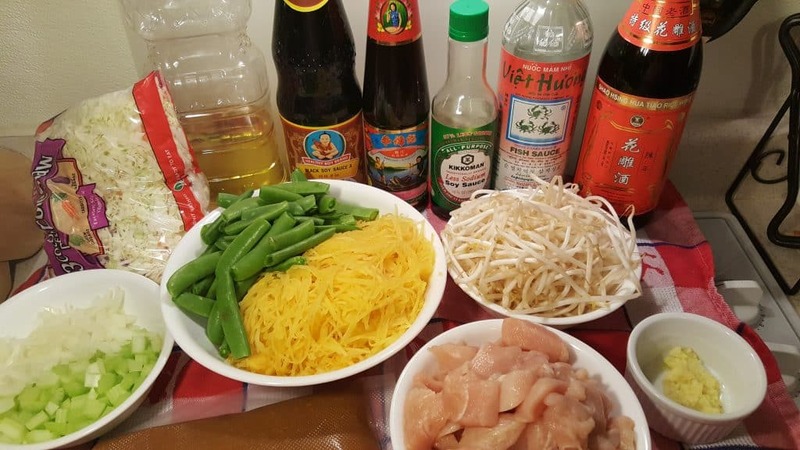 What Ingredients are in Chicken Chow Mein? This recipe is flexible and if you like other vegetables, such as broccoli, go a head and add it in after pressure has been released. The Potato Starch will keep the Chicken from drying out. You just want to brown the sides a little, just enough, so the Starch adheres to the Chicken. This is one of my favorite tips and tricks, so make sure to always have Potato Starch on hand. Don’t you hate having to add a slurry at the end of a recipe? So often, the Starch won’t cook enough and the Sauce will have a raw taste. Shaoxing Wine takes the flavor up another level. If you do not have Shaoxing (and why don’t you), I suggest using a good Dry Sherry, one that is for drinking. They are almost interchangeable in results. Shaoxing Wine is usually much cheaper than Sherry. 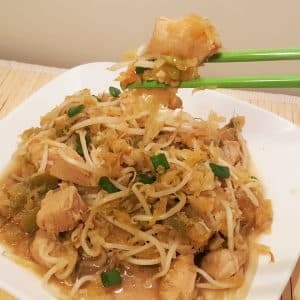 How do you make Chow Mein Sauce? Grab a Mixing Cup and Whisk the Sauce ingredients together. It will get added in after all the ingredients and before the more delicate vegetables. 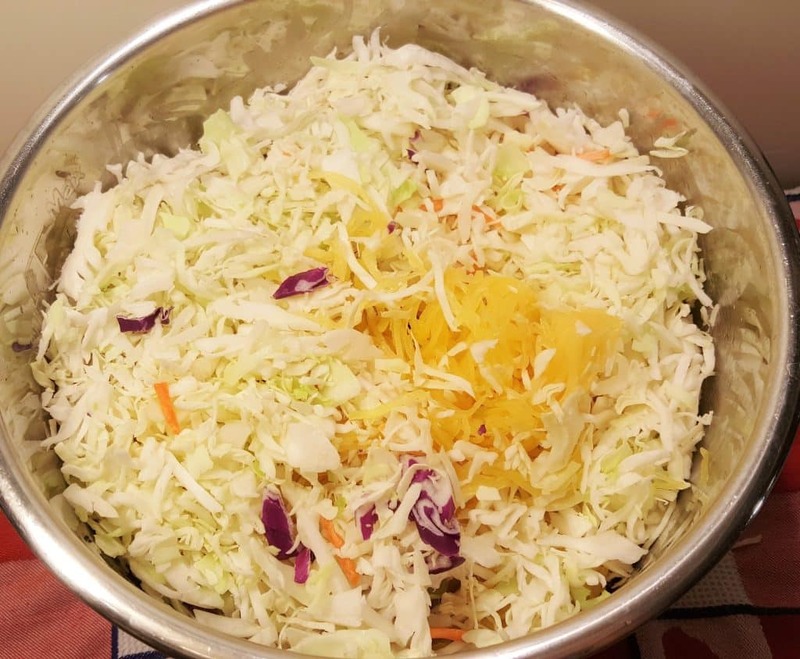 For more texture, add in half the Cabbage before pressure cooking. And half of it afterwards, when you add the Spaghetti Squash. The residual heat will cook the Cabbage and warm up the Spaghetti Sqaush. Simmer if needed to thicken the Sauce or cook the Cabbage more. Other Weight Watchers Recipes You May Enjoy! I’d love to hear from you once you have tried out this recipe. Tag me on Instagram using #This_Old_Gal and show me a photo! Prepare Spaghetti Squash according to recipe. Scrape out strands and set aside. Select Saute or Browning on your Pressure Cooker and allow to fully heat. 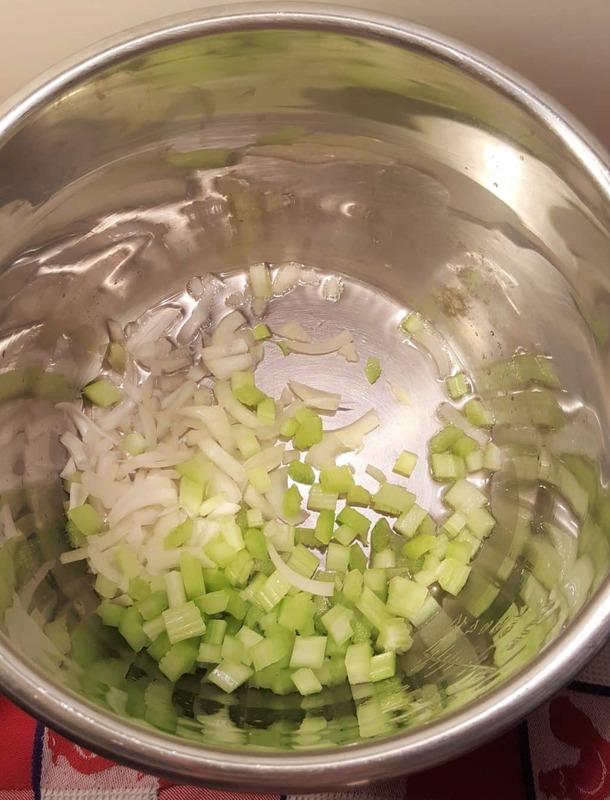 Add Oil, Celery and Onions and Saute for 1 minute. 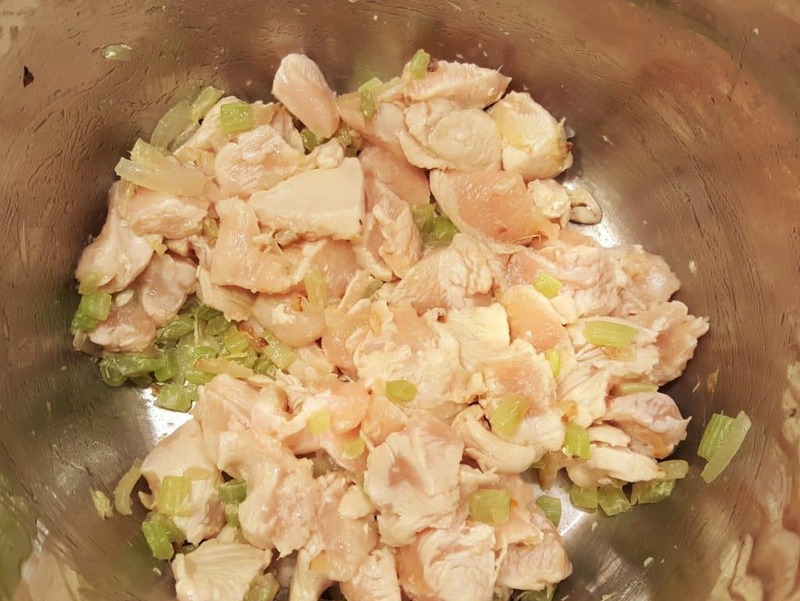 Add Chicken pieces to cooking pot and brown on each side, about 3 seconds a side (just enough for the Starch to adhere to Chicken). 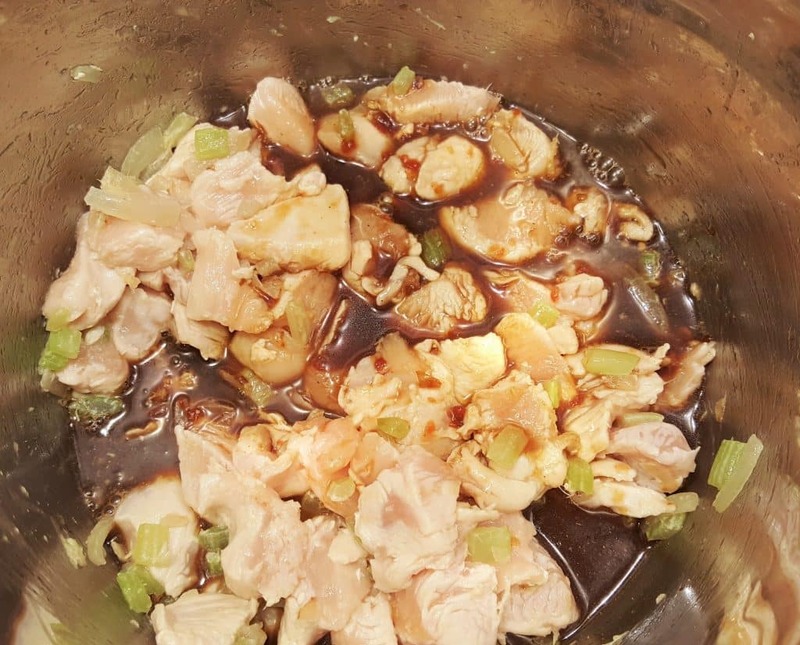 Add Garlic and Ginger and mix through. Pour in Shoaxing Wine and deglaze cooking pot, making sure to scrape up anything stuck on the bottom. Turn off Pressure Cooker. Pour in Sauce and mix through. Place Snow Peas and Cabbage on top. Do not mix through. Lock on Lid and close Pressure Valve. Cook at High Pressure for 2 minutes. When Beep sounds, wait 5 minutes and then release the rest of the Pressure. Remove Lid and mix in Scallions, Spaghetti Squash and Bean Sprouts. PIN this Pressure Cooker Spaghetti Squash Chicken Chow Mein!